A fantastic looking softshell jacket that is good to wear on the slopes and well as in the bars (this is the one for Stannio). 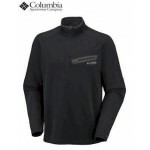 Made from Ilus Loft Softshell with a warm sherpa fleece backing plus windproof membrane and water resistant finish. The Thaw-Out also features a grown on technical hood with adjusters, underarm ventilation zips, full length front zip, 2 zipped lower pockets, zipped sleeve/ski pass pocket, Velcro adjustable cuffs. 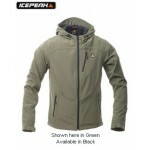 Dare2b Thaw-Out Men's Softshell Jacket.